The charters featured below are standard packages to give you an idea as to what is offered. 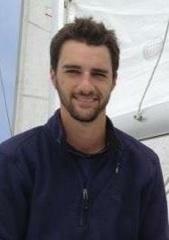 Our yacht charter coordinators and captains are very flexible and can customize a package for your event or occasion. 3 hour bay tours includes light snacks and beverages. You will board the Marinella on Harbor Island and be taken out on to ocean or on a relaxing and intimate bay cruise featuring photographic points of interest such as the San Diego Skyline, Seaport Village, the USS Midway, Star of India, and the Coronado Bay Bridge. The Sunset Sail highlights all that San Diego Bay has to offer. You will be greeted by your Captain and escorted to the Marinella yacht where you can enjoy a cocktail in the luxurious and roomy cockpit while your crew gets the yacht underway. Immediately after leaving Harbor Island, you will have spectacular views of the San Diego skyline while on your way out past Point Loma and into the Pacific Ocean. After watching the amazing Pacific sunset on the horizon, you’ll continue to sail into San Diego Bay to watch as the San Diego city skyline comes to life as all the city lights sparkle on the bay waters. You’ll be treated to all of San Diego’s points of interest along the way including the Sea Lion dock, Cabrillo National Monument, Point Loma Lighthouse, the USS Midway, Star of India, Coronado, and much more. Just off the San Diego and Southern California coast is the migration path of the world’s largest and most spectacular animals. Gray whales pass through our waters starting in December and continue to amaze our guests all the way through March. Several species of dolphins can be viewed off playing and jumping off our bow the whole year round. When we spot whales on our tours, we’ll follow along at a safe distance, but close enough to get some amazing photo opportunities. Prices do not include marina fees and San Diego Port District taxes. Prices and packages are subject to change from published rates. Each charter may be different and your special requests are welcome. Gratuities for captain and crew are not included in the pricing but are cheerfully accepted. Marinella is a gorgeous 45′ Hunter luxury sailing yacht. These safe and comfortable yachts routinely cross major oceans and are very capable of circumnavigating the globe with ease and comfort. 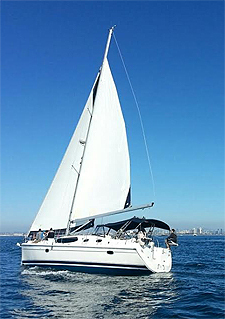 Marinella is a very new sailing yacht available for private charters in San Diego Bay, the coastal waters of Southern California, on up to Catalina Island. Marinella is a sailing yacht that provides a stable and comfortable ride with spacious accommodations. Although capable of carrying a larger number of passengers, in the interest of giving you the most comfortable experience in chartering a private yacht for our San Diego Bay Cruises, Marinella will never have more than six guests aboard. Marinella’s cockpit is spacious and comfortable with wing stern seating. Marinella also has a hard dodger and removable isinglass siding to keep you warm and out of the wind and elements if you so desire. 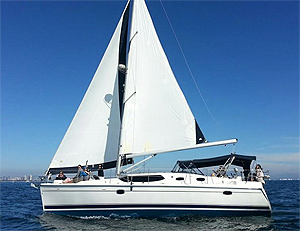 This modern sailing vessel is kept in first class condition and features an auto pilot, wheel steering, digital radar and chart plotter, a spacious covered cockpit with folding table, swim ladder and platform with heated fresh water deck shower, full galley (kitchen), flat screen TV, Bose surround sound, stand up paddle boards, and a 15′ RIB (rigid inflatable boat) yacht tender. 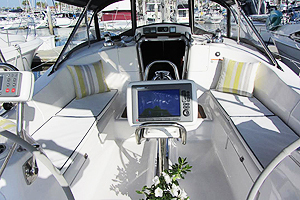 The spacious cockpit of the Hunter 45′ yacht, Marinella, comfortably seats six guests. She can accommodate up to six guests in complete comfort and style. There is ample seating in the spacious cockpit, as well as the fore deck including comfy bean bag chairs, and a beautiful salon below deck with over 7′ of headroom. The salon area is spacious and comfortable for easy socializing and dining. The wrap around windows provide a great view if you choose to relax in the cabin. 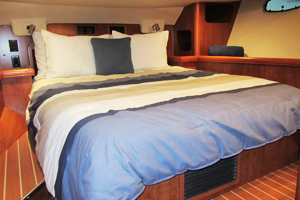 Marinella comfortably sleeps six and features two queen size berths and two heads (bathrooms) with fresh water hot showers providing the comforts of a luxury hotel if you should decide to spend a couple nights away from home or looking for a getaway to Catalina Island. Marinella queen stateroom available for overnight stays for that romantic getaway. You may charter Marinella by the hour, for overnight stays, or by one of the packages outlined to the right side of this page. She is conveniently located on Harbor Island on San Diego Bay, right across the street from the airport and mere minutes from the excitement of downtown San Diego. The marina features free parking, full bathroom and shower facilities, and an excellent deli where you can get some delicious sandwiches, snacks, and drinks for a memorable cruise around San Diego Bay or beyond! Marinella is owned and operated by Captain Brock Passarella, a US Coast Guard 100 ton licensed captain. Captain Brock not only owns and manages his own sailing yacht, but he shares his expertise by working on other local charter yachts as well. 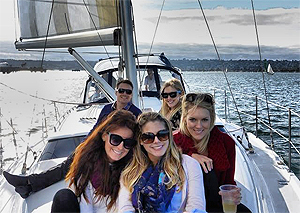 Captain Brock and his crew are sure to make your San Diego sailing trip a safe and memorable one. You can charter the Marinella yacht for any occasion and we can even customize the charter packages listed at right to accommodate your party or event. Chartering the Marinella sailing yacht is ideal for up to six passengers with captain and crew. You’ll enjoy a casually paced tour of San Diego’s Bay and all of it’s points of interest and photo opportunities. 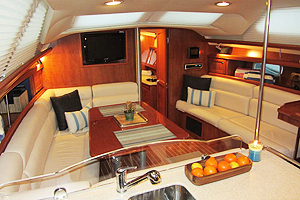 The spacious cockpit of the Marinella accommodates up to six guests comfortably with a fold out table. 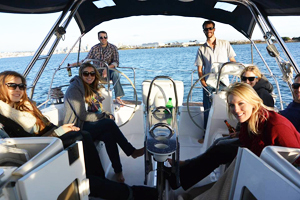 With more than enough cockpit seating for up to six passengers, Marinella assures you a smooth and comfortable sailing experience while taking in all the sights of San Diego’s big bay with close friends or family. As a private yacht charter, you’re not crowded onto a large vessel where you have to excuse yourself to walk around a group of strangers to try and get the best views. On the spacious 45′ Marinella sailboat, every seat is a good one! Two on board heads (bathroom) with fresh water sink and shower.